Attract customers with advanced promotions like 'Buy X product get Y product with 30% discount', 'Each 2nd shirt for 50%', 'Get 10% off if placed more than 3 orders before', 'Buy 3 products and get 50% off for the cheapest' and many more. Nowadays customers are literally flooded with discounts and it's difficult to impress them with regular Magento onsale deals. This Magento discount module adds 10 new discount actions to help you provide customers with really catchy promotions. Category tier pricing: buy one for 100, two for 90 each! The savings people make are a powerful factor when considering whether to buy or not (and also whether to keep coming back or not:-) So lets present the facts in front of them in an easy to understand way, as very often customers want to make sure they get all the discounts they are promised. Now you can display the list of discounts with products that are being discounted. For example, they will see: 'Get each 2nd phone with 50% discount: HTC Diamond -$375'. The feature works staring form the CE 1.4.2 version. With Promo Banners Lite, the extension offers you flexible settings to display promo banners to highlight your specials. You can display informative banners on the product page for each price rule individually. Place them on top of the product page or after the product description. It is possible to show banners, considering the product's SKU and category. Due to our Magento 1 promotion extension you can create rules like 'Buy One Get One Cheapest (or Most Expensive) Free', 'Buy 4 products, get the most expensive for 50% off' and so on. Magento BOGOF selling model is a great tool to motivate customers make more purchases; it can also help you keep your stock cleared. This Magento on sale extension adds 'Each Nth with Discount' rule, which you can utilize to offer deals like 'Get each 5th product for free (or with discount)', 'Buy 3 products from a certain category and get one of them with 40%/50% discount (or for free)' - offer a kind of tier pricing based on category or some other attributes (e.g. attribute set, manufacturer, etc). To create such promotions use 'Each M-th After X-th for Fixed Price' and 'Each M-th After X-th with Discount' actions. You can set a discount quantity step, as well as discount amount and the number of items that should be bought to meet the conditions of the price rule. With these actions you can create rules like 'Buy 3 books for full price and get each second one with 15% discount'. The extension adds ‘get group of N for fixed price’ action. You can specify the number of items, which customers will be able to buy for a fixed price. 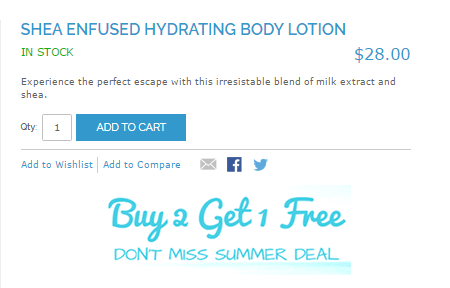 Of course, it is possible to select the products to which the discount should be applied. For example, you can let customers get any 3 products from categories ‘Shirts’ and ‘Ties’ for $100. This is possible with actions 'Buy X get N of Y with Discount' and 'Buy X get N of Y for Fixed Price', which work with simple and configurable products. You can select products which are discounted (by whole categories or just individual items) and the products which trigger the discounts. The actions work in a similar way, the only difference is 'Buy X get N of Y with Discount' enables you to provide a percent discount and 'Buy X get N of Y for Fixed Price' lets you discount products to a fixed amount. The extension adds ‘get $y discount from each $x spent’ rule, which will stimulate customers to spend more money in your shop. Customers will know they will be rewarded with a discount, when they spend a certain amount of money, which will motivate them to buy more. You can create conditions based on custom options. For example, you sell cups in your store and there is a custom option to add an engraving to a cup. Now it is possisble to make the promotion rule apply only for the cups with engraving. With the extension you get a new 'Each N-th for Fixed Price' action. The action lets you discount price of any item to a fixed value (considering that the product meets the conditions of the price rule). For example, you can create promotion 'all contact lens for $20', 'buy a pair of shoes, get another one for $30' or similar ones using this action. Such promotions are possible with ‘‘Each N-th with Fixed Discount’, ‘Buy X Get Y with Fixed Discount’ and ‘All products after N with Fixed Discount’ actions. 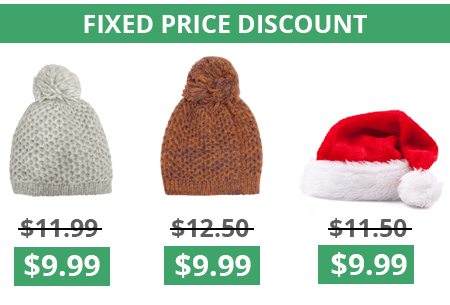 You can use any fixed sum of money as a discount for a certain product. Such promotions are possible with 'All product after N for Fixed Price' and 'All product after N with Discount' actions. The extension always selects the most expensive items for 'full-price' ones, the cheaper products get discounted. You can limit the number of items to be discounted. With these actions you can create rules like 'Buy 2 books for full price and get 2 more with 50% discount' or 'Buy 3 bags for full price and get each additional one for $100'. Now you can create rules that will be active regularly on specific days of the week or during a certain time intervals. The extension goes all out in support of virtual products. This is the way you can without hesitations apply all the described promotions to virtual items and get a lot of benefits. Now you can create promotions for bundle products. Easily set shopping cart price rules to offer bundle items with various discount types. easily delete demo (or test) rules, invalid coupons which are no longer needed. Specially priced items are already cheap. Applying discounts to them in most cases means that you would lose money on such products - now you can prevent this. The extension enables you to skip products with special prices created with Catalog price rules as well. It supports multi-store and multi-currency environment at the general configuration level, also works correctly with Magento tax functionality. Now it is possible to impose limitations like category or sku and so on to create rules like 'Buy more than 1000 worth of products and get the most expensive item from "gifts" category for free'. Admin user can define what price will be chosen as a discount base for the action – special price, the price after previous discounts or the original item price. It is also possible to directly apply for the biggest discount. Now admin user can set up a maximum discount amount for each promotion rule. For example, a customer has bought 5 items and according to the rule his discount should be $300, but maximum discount amount for this rule is set $200, so he’ll get only $200. Use Promo banners extension to create colorful banners and show them on product, category, any cms page or at the shopping cart page. It gives you a great opportunity to catch your customers at any stage of the shopping process and inform about the promotions! 3 types of banners are at your disposal: upload images, use cms-blocks or format banner with HTML-editor. With Auto Add Promo Items extension you can create promotions, which will automatically add free items to the shopping cart. Reward your customers for their frequent purchase with Loyalty Program. The discounts are based on the customer's purchase history and visible on a personal Loyalty tab. Please watch the video review to find out more about how Special Promotions Magento extension works. The special offer permits providing your customers with a percent discount in case he/she buys a specific number of products. For the promo launch, you need to create a cart price rule with the corresponding actions, specify the quantity step and a discount amount. Go on reading to use bit-by-bit instructions. How to set up the promo 'Buy one product, get another one'? To launch a 'buy X get Y free' promo with the Special Promotions Pro extension, you need to create a relevant Cart Price rule, set up a discount, choose 2 in the Discount Qty step and apply the rule to a product you need . See all the settings in the full guide. The extension allows for creating such promos as 'buy X get Y with N% discount'. By setting up the 'Actions' you can define a percent benefit your customer will get in case he/she meets the conditions. To see all the configuration steps, go on reading a complete answer. With the use of the Special Promotions extension, you can launch a 'buy X get Y with fixed discount' promo. The feature permits specifying individual products (not only categories) for which the condition will be applied. To see a full guide, follow the link below. With the use of advanced Special Promotions discount rules, you can predetermine a fixed discount for a product instead of a percent one. By this rule, if a customer orders three printers, he/she can buy any laptop for $200 only. To see more details on the configuration, see the complete answer. Thanks to this action you can create promotions like ‘Buy 3 books for full price and get each second one with 15% discount’. Continue reading to see how to make all the settings correctly. Thanks to this action you can create various effective promotions like ‘Buy 3 books for full price and get each second one with $20 discount’. Read on to see all the configuration steps. With the use of the action, products are discounted to a fixed amount. You can create promotions like ‘Buy 3 books for full price and get each second one for $20 only’. Go on reading to see all the settings. Adding and removing promotional articles is actually way more tricky then you'd first think. This module keeps getting better and better for every version - but I still needed support for configurable products. The product allow you to do a mind boggling number of different kinds of discounts. From date specific to coupon codes this does it all.<br>My only complaint is that with so many kinds of discounts, it can be hard to pick the correct one to match what you are trying to do.... they are not intuitively named.<br>Once you figure it out though, this is super powerful. Due to detailed instructions we managed to launch a lot of promo campaigns. Everything works correctly and there haven't been any troubles with the app since it's installation. But I'd like to see more discount actions for the price we paid. I'll not repeat all the other reviews here which highlight the weaknesses in Magento's built-in extensions. This extension does deliver a whole new arsenal of discount options suited to real-world product promotions. However, I also wanted to say always consider who write these extensions. Amasty are an experience, professional Magento developer with a superb support structure that goes all out to make sure their product work 100% for you. I had a very difficult to diagnose problem with PayPal payments and cart amounts. Amasty tracked it down to a 3rd party extension that was causing the problem outside of Amasty extension. With their diagnosis I was able to upgrade this extension and the problem was resolved. I made a dumb mistake on my side during installation. Wrote to Amasty for guidance, they fixed everything for me, works as promissed. No complaints from our client. Amasty did it again. With this promo plugin now we can create dozens of campaigns literally in a blink of an eye. Unlike other similar tools, this one surprised us with its stable work and clean code structure. A very good quality for this price. Great job guys! I've installed your module to my client's site and he was very satisfied with it. I'm goin' to purchase more of your apps. Wish you offered more discounts to your loyal clients like me. I've installed 3 amasty modules - and each time they proved to be highly professional. They instantly solved all the issues with another promo module installed in my store. The module corresponds exactly with the description which is a great plus. Flawless work, compatibility with other modules - this is what I do appreciate. Unfortunately, the manual instructions is not as detailed as it can be.There are some pitfalls that are not described and only support guys put everything in its places. The module offers tons of promotions which appeared to be a hard nut to crack. Fortunately the support team put everything in its places and now I’m running a good pack of promotions for every holiday and special occasion. The huge minus of this app it that no promotion runs out of the box, and without having decent experience in working with similar functionality you’ll hardly set up the promotions properly. This can be solved with more clear and detailed documentation and neat extension navigation. The module is a good deal. For its price, it has a pretty good pack of features, that are easy to to set up. Actually, I don't see the reason to pay more for the 'pro' version as this one includes all basic options meeting our needs. The documentation could be more detailed and up-to-date, but anyway it's a good stable working tool. For most of the time it works nice and does what it says. We had two questions about its work, and the support always responded within 24 hours (normally it was 2-4 hours for our replies). We also wanted to have a cascading discount (second product 15% off, third 20% off, fourth 25% off) and we had to set several rules, we asked if this could be done with one rule – Amasty said they will think about this new feature and corrected some of our mistakes in rules. Purchase this extension to run together with promo banners addon (also by amasty). The vendor assured us that all their extensions are compatible with one another - and it appeared to be true! Both apps work great for all possible types of promotions. Very good vendor! We are very pleased with the promotional potential that this module can bring to the store. The plugin should be especially good in time of holiday season. Can’t wait for our planned autumn wholesale, which is when the tool will show itself to the full. I'm satisfied with this plugin. It allows creating a huge number of promo campaigns and is easy to use. Their support managers answer instantly and are very helpful. Brilliant solution! Special promotions tool saves us days of desperate efforts of setting up sets and sets of rules. Amasty techs were great, as always. They patiently answered all our questions and made sure that we deployed the tool correctly after all. The product is great, and the team behind it is amazing! This extension enormously enriches possible promotional programs. Since the implementation we have tried several offers. In our case (we sell jewelry) 'Buy X get Y with Discount' option showed the best result. This offer really boosted sales! But you are not just buying an extension. You also get a great support in a record time! We are Magento newbies, and at the beginning we had lots of questions. These guys were always there to help out. They treated us in a very friendly and professional manner. Good job! We are using this promotional extension for few of our client stores. It's really useful for the marketing purpose which cover most of the promotional offers. Amasty's support is excellent. Though it's difficult to chat with online, they will respond within 24 hrs through support ticket. I recommend any extension from Amasty, it's developed on standards with excellent support. This plugin is exactly what we’ve been waiting for! It tremendously extends marketing possibilities for merchants. You can set many rules and create attractive offers even for the most captious customers. The module itself works fine, very flexible. It helps to make clients more loyal and boost sale at the same time. We are really happy with it! Having installed magento community edition I was a bit disappointed with the limited promo functionality it offered. My bad, I should have learned more about magento before choosing it as my store platform. Luckily there are tons of magento apps out there. Amasty were one of the highest in search results, that's why I paid attention to there apps. Should admit, that being a magento newbie, I'd hardly configured something by myself. So, a good consultation of their support guys and their assistance came in handy. The app works fine causing us no problems at all, numerous promotions we started work like a charm. Thank you amasty! I’m really happy with this extension. It seems to be an all-in-one tool. It gives you all the tools you need to start and run serious unique promotion campaigns. I would call this addon just perfect if only it worked out of the box. Unfortunately it didn’t, so we contacted support team in their live chat and they figured it all out for us in just a day or so. They are real pros at Amasty! The support team are very helpful and on hand if you any need help using the extension. They managed to sort a rule which I was having trouble with and found that it was slightly custom to the module, very quickly and very efficiently. Definitely recommend! This is so easy to use with it's thorough documentation. And I assure you it will boost your sales with the promotions you offer. Things such as buy 2nd piece at USD1, Buy 2 free 1 etc etc are just a few clicks away. Support are amazingly responsive too even after all these years. In a nutshell, this is a marketing must have! This module is one of few that offer a big pile of promotional features. Though when I bought it in 2013, the module was generic, just average comparing with others on Magento market. Since that time Amasty released many updates and extended the module functionality. Based on my experience I can only praise the company on the whole and the support team particularly which gave me a hand at various times. Many thanks guys and keep up the good work! I bought that extension in summer but began using it only in September, so now I have something to say. I like that rules for promotions are really flexible as they use child product attributes instead of parent attributes. I needed to create promotions with discount for the cheapest product in t he shopping cart. Special Promotions helps sort configurables by price so I managed to make this promotion, Magento doesn’t have that feature out of the box. So if you need to create some advanced promotions, this extension is a good choice. We sell different accessories for women. We decided to give discounts to increase average order amount. We tried a few approaches but the one where discount is given for each N product worked best for us. 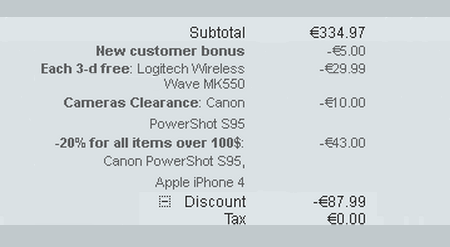 I also th ink that the discount details breakdown is good for conversions, but want to run an a/b test as well. We now give discount on each fifth product, and that extension handles this promotion rule perfectly. Christmas is coming and we’ll use a combination of promotions, including Buy X get Y free. We tested the latter but something goes wrong when a few Y products are in the cart, we are checking it with Amasty support. Hope, it’ll soon be fixed. In general, we are using promotions all year round, but that extension is really indispensable in the coming holiday season. Purchased this extension short while ago with installation service. Installation was done in two days, with the help of adjusting the template so it shows the right information in the right place. Help with setting up the first promotions was quick and clear. Very satisfied thus far! There are numerous modules of that sort on the market, but I've chosen the one by Amasty. I had wonderful experience with their extensions before, and this one absolutely met all my expectations. Good code, cool features, excellent support! Great extension, and lots of features. Really fantastic support and speedy help to seamlessly integrate into existing theme. Easy installation and simple rules creation interface. Tried the module to run a promotion buy pair of jeans (configurable product) and get a free belt. Easy installation and simple rules creation interface. Side note - I've made the call before buying, the line was busy, but the person in the life chat will get back to me quickly. Tried the module to run a promotion buy pair of jeans (configurable product) and get a free belt and it works right our of the box. Easy installation and simple rules creation interface. Side note - I've made the call before buying, the line was busy, but the person in the life chat will get back to me quickly. Brilliant extension. easy to install and worked straight out of the box. I had some complicated promotional scenarios to create and the guys in support where very helpful. It's a great tool to setup extended promotions. Amazing! It's a great tool to run marketing campaigns. It adds so much useful functionality to the price rules, so it's a must have for each store owner. First, the user guide was not that clear for me, but after some more reading I was able to create the promotions I need. Excellent extension. Wanted to set up buy 1 get 1 free with the free item being equal to or lesser than the paid item. With excellent help from support I was able to set this up. Wanted to set up buy 1 get 1 free with the free item being equal to or lesser than the paid item. With excellent help from support I was able to set this up. Easy to install and worked straight out of the box. I had some complicated promotional scenarios to create and the guys in support where very helpful. This module is really awesome. This module was a solution to Tier Pricing problems. Several Tier Pricing extensions caused "Custom Options" prices to not be added in the cart. So we installed the Special Promotions extension to create per item discounts which accomplished the same thing (BUT with MANY more possibilities). We will begin using this module extensively to do alot of combination promotions. I would also like to add that we had some problems that were due to the custom theme (not this extension) and Alex took care of it and fixed it. Their customer service is OUTSTANDING. I can not say thanks enough! It does exactly what it says and well worth the price, additionally the support team are really helpful. Great job! Great extension - really expanded our discounting capabilities at http://www.citylips.com! We added Auto Add Promo Item (also Amasty) and now there is almost nothing we can't do with promos. Running these more complex promotions really helps the bottom line and encourages larger orders from our customers. Support from Amasty is always fast and top-notch in my experience. Thanks for great extensions! Working great out of the box! A must have tool. A must have tool for effective promotions. Easy to use and easy to configure. Integrates well into Magento. Amazing extension! I'm able to easily make coupon specials that I wasn't able to achieve before. At first there was a issue with "The Cheapest" discount not working but customer support helped fix it. They seemed overwhelmed with tickets because it took them about a week to help resolve the problem. But overall great extension and company! – Improvement: the localization was updated.